The Four Elements of Earth, Water, Air and Fire are known as the Quatrain of the Soul. 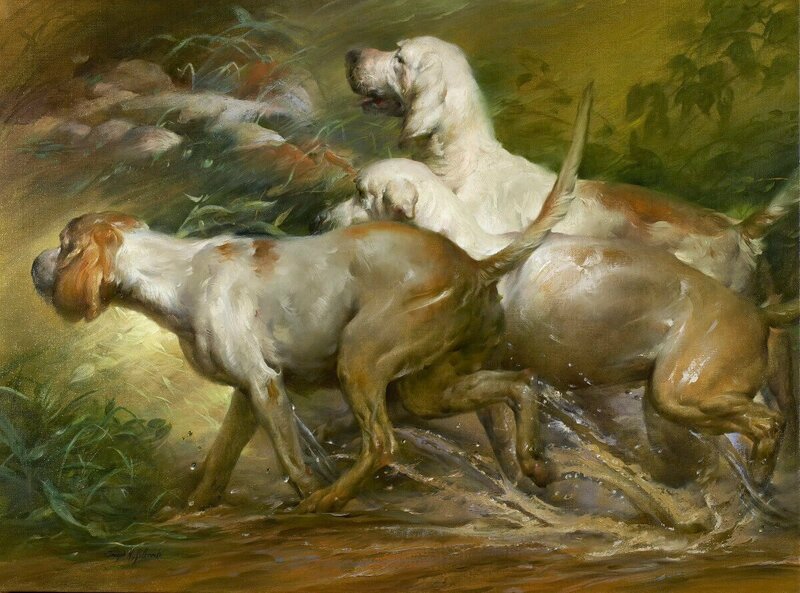 In this allegorical representation, the Foxhounds represent the Element of Water. Our emotions are seen in the “moods” of water as surging, rising and falling, turbulent, stormy or calm; evidence of our inner hydraulic cycle. In essence, it is our thoughts and emotions that shape our worldview, family traditions, opinions and choices.